2 Valve Manifold Direct Mounted, offered by us, provides a direct mounting feature with isolation & drain/calibration in a single unit. 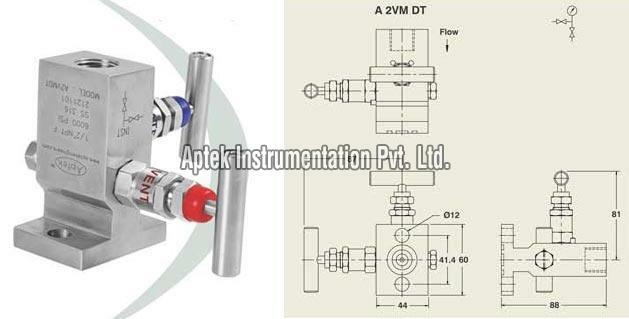 2 Valve Manifold Direct Mounted that we provide can be directly mounted on the static pressure transmitter to eliminate several parts and joints. 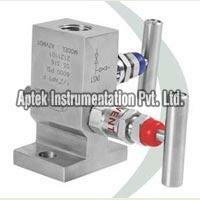 We offer 2 Valve Manifold Direct Mounted in different models. 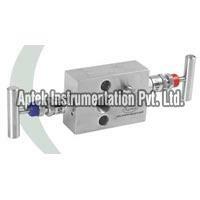 We are considered as credible Manufacturer and Exporter of 2 Valve Manifold Direct Mounted in Naroda (Ahmadabad).